Restless legs syndrome (RLS, Wittmaack-Ekbom's syndrome, or sometimes, but inaccurately, referred to as Nocturnal myoclonus) is a condition that is characterized by an irresistible urge to move one's body to stop uncomfortable or odd sensations. It most commonly affects the legs, but can also affect the arms or torso. Moving the affected body part modulates the sensations, providing temporary relief. RLS causes a sensation in the legs or arms that can most closely be compared to a burning, itching, or tickling sensation in the muscles. People use words such as: uncomfortable, "antsy", electrical, creeping, painful, itching, pins and needles, pulling, creepy-crawly, ants inside the legs, and many others. Some people have little or no sensation, yet still have a strong urge to move. Movement will usually bring immediate relief; however, this relief will often be only temporary and partial. Walking is most common, also doing stretches, yoga, biking, or other physical activity may relieve the symptoms. Constant and fast up-and-down movement of the leg, coined "sewing machine legs" by at least one RLS sufferer, is often done to keep the sensations at bay without having to walk. Sometimes a specific type of movement will help a person more than another. Any type of inactivity involving sitting or lying—reading a book, a plane ride, watching TV or a movie, taking a nap—can trigger the sensations and urge to move. Causes of Restless Leg SyndromeThe most commonly associated medical condition is iron deficiency (specifically blood ferritin below 50µg/L, which accounts for just over 20% of all cases of RLS. Other conditions associated with RLS include pregnancy, varicose vein or venous reflux, folate deficiency, hypoglycemia, sleep apnea, uremia, diabetes, thyroid disease, peripheral neuropathy, Parkinson's disease and certain auto-immune disorders such as Sjögren's syndrome, celiac disease and rheumatoid arthritis. RLS can also worsen in pregnancy. Certain medications may worsen RLS in those who already have it, or cause it secondarily eg anti-nausea drugs, certain antihistamines (often in over-the-counter cold medications), drugs used to treat depression (both older tricyclics and newer SSRIs), antipsychotic drugs and certain medications used to control seizures. Treatment of underlying conditions, or cessation of use of the offending drug, often eliminates the RLS. No proof has been found of the effectiveness of drugs therapy and the cost is high. Drugs used include dopamines, opioids, benzodiazepines and anti-convulsants. Sufferers should always have their iron levels checked. Alcohol, caffeine and sometimes tobacco can aggravate restless legs syndrome and should be used minimally or cut out all together. Using Hypnosis to Relieve Restless Legs SyndromeAlthough restless legs syndrome is a neurological disorder it is now beyond any scientific doubt that the mind and body are deeply interconnected. Hypnosis is nature's optimum tool for influencing physical processes through the power of the mind. Restless legs syndrome can be eased and greatly diminished by the effective and repeated use of hypnotic suggestion. 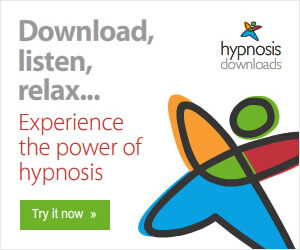 A download hypnosis mp3 is available to bring relief to Restless Legs Syndrome and a script for use by professional hypnotherapists. Click here for over 500 download hypnosis mp3s. If you have ever been in love and that relationship has come to an end, whether you were the one who wanted to continue or yourself chose the moment to end, you will know how difficult and painful the ensuing days and weeks can be. They don't talk about a broken heart for nothing. It is literally that painful. While the sorrow can invade every part of you, your heart does feel as though it is breaking. There are five stages of grief which have been identified and it is usually only when you have experienced all five stages that you can begin to see a brighter future, one of possibility without your ex, even though you may feel you will always love him or her in a special way. Maybe you will. The healing can only come about with change - change of attitude, change of focus, change of belief that there will be a new future. Consciously, you will hear advice, you may even know that it is the best advice but that does not stop you longing for your ex, wishing you could turn back time. The change has to come about at the unconscious level and that is where hypnosis can help. It can be difficult to stop thinking about your ex-partner, and the feelings of sadness and loss can be hard to deal with. This is of course natural for a time, but if you feel it has gone on for long enough, a "Getting over a relationship" hypnosis session on MP3 can help you calm those feelings down. The session will help you 'update' your unconscious mind so that you feel more like moving on. Of course you will be able to remember the good things about the old relationship, but with less sense of loss, and more positive feelings about the future and the possibility of other relationships. There is also a professional "Get Over a Relationship" hypnosis script which is free to download at the moment. Click here to view the 5 Stages of Grief. 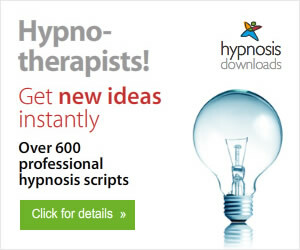 Visit DownloadHypnosisMp3.com for over 400 different hypnosis Mp3 and professional script downloads. I have just received information of a complete NLP Masterclass available CDs or MP3 download with a very special offer. * If you are new to NLP then this programme is an opportunity to witness and experience the power of NLP first-hand. In The NLP Techniques Masterclass will cover a relatively small number of techniques so that you can really learn them in depth and develop real confidence using them. Skills such as the Fast Phobia Cure and the Allergy Cure. * If you are familiar with NLP then this programme will help you raise your competence with NLP to the point where you can use the techniques confidently on yourself and with other people to create rapid change. People who have done NLP training before will derive enormous benefit from exploring key techniques and skills more thoroughly than they may already have. * Therapeutic workers and psychotherapists. The mental health sector is increasingly under pressure and demand for quick results. This course will give those people a chance to take a more eclectic approach to change-work. NLP is based on what works and experience shows that using these ideas can often yield faster results than conventional approaches to therapy and change. * Coaching and personal development professionals will learn approaches to communication and change that will enable them to work more effectively with clients. * People who are curious about how human beings change and how NLP works. * People who have a phobia, allergy, anxiety or relationship issue they want to sort out, or situation they want to enhance. Experienced hypnotists, NLP Master Practitioners & even NLP Trainers who have attended these courses agree that this is some of the most powerful material on the market. The trainer is Jamie Smart, one of the UK's most acclaimed and respected trainers as well as the CEO and Founder of Salad. Jamie has a passion for language, learning and teaching. This is evident in Salad’s NLP Practitioner and training courses as well as in Salad's array of world renowned NLP and Hypnosis products, including Ericksonian Hypnosis Cards, NLP Coaching Cards and Irresistible Influence Cards. Jamie has been taught by some of the best NLP trainers in the world including the founders of NLP, Richard Bandler and John Grinder, as well as highly skilled and innovative trainers such as Robert Dilts, Chris Hall, and Joseph Riggio. When you order the audios today at a rock-bottom introductory rate, you will receive a voucher to have the price you paid deducted from the cost of the DVDs, as soon as they are available in 2009. You end up receiving the audios six months early and effectively at N0 COST. * The full unabridged 7 hour audio of the “NLP Techniques Masterclass” Training (available as an MP3 instant download or CD). * For a limited time only, you’ll get Four Free Bonuses worth more than £100. That is over £225 worth of valuable NLP materials for just £57 + VAT. There is a long list of contents on these CDs/MP3s with plenty to learn for anyone serious about developing their NLP skills. Go to Jamie Salad NLP Techniques Masterclass now.